Dash is a peer-to-peer exchange system, much like a marketplace, that operates on an open source network. The creation of Dash began when Evan Duffield was introduced to the Bitcoin system and noticed painfully clear disadvantages and weaknesses, Bitcoin was not as fast and anonymous as its creators touted. Dissatisfied with these issues, Evan urged Bitcoin’s developers to fix them but without completely changing their code work and starting all over it was useless to try. Therefore, Evan Duffield went on to use Bitcoin’s Core code in order to make his very own cryptocurrency which would resolve transaction speed and anonymity issues. The cryptocurrency we known as Dash did not begin with this name, originally it was called Xcoin during its premier launch in January of 2014. During its emergence, it was quickly renamed DarkCoin and finally, in March of 2015 it would be formally called Dash which would stand for “Digital Cash”. Dash provides anonymous transactions and lower transactions fees which steadily remain under 30 cents. Unlike many of its crypto counterparts, Dash has not seen extreme price and fee fluctuations and it may be the least affected by volatility. Is Dash Legal in The Philippines? Dash is considered a cryptocurrency which is formally regulated as per the release of Circular No. 944 by the Bangko Sentral ag Pilipinas which has provided official guidelines to regulating the transaction and processing of cryptocurrencies via a central bank. While not publicly endorsing Dash or any other cryptocurrency, the Bangko Sentral has technically permitted the use of alternative currency in the Philippines. Without the Bangko Sentral’s guidelines, Dash and other cryptocurrencies would be unregulated and illegal to use. However, the Bangko Sentral has no jurisdiction to illegalize or legal any Philippine gambling law thus their regulation over digital currencies has no effect on Philippine gambling laws and regulation. Are Dash Casinos Legal In The Philippines? Dash casinos are perfectly legal for Filipinos to access and gamble on. Currently, there is no written law forbidding the use of cryptocurrency casinos by Filipinos. Therefore, domestic citizens can legally enjoy online gambling at a secure, as well as, anonymous network. Philippine residents often enjoy the decentralization factor of cryptocurrencies and cryptographic systems which allows them to freely spend their money without government oversight at places like Philippine Dash casinos. There are two top-rated Philippine Dash casinos we recommend. This digital currency can be exchanged through encrypted software systems. Its superior governance model allows it to be completely funded by its generated transaction fees. To follow this, Dash runs off a 2-tier network called the Masternode network. This type of system greatly differs from Bitcoin’s structure whose development requires communal contribution. Dash’s decentralized budgeting system makes it a decentralized autonomous organization (DAO), unlike Bitcoin’s single tier network. Dash’s 1st tier is composed of Nodes which are simply computers who communicate with one another within the network. Miners use these nodes to verify Dash transactions and create new Dash cryptocoins. The 2nd tier is composed of Masternodes, otherwise known as Full Nodes, which are supported by computers that contain the full blockchain of the cryptocurrency and enforce the rules set by the Dash network. Masternodes are crucial because they facilitate specialized transactions for compatible, complementary software such as PrivateSend and InstantSend, two of Dash’s premier features which allow for private transactions and instant delivery. Masternodes are central to controlling the development of the Dash Network and they’re continuing growth and operation are incentivized. However, funding and functioning a Masternode requires a collateral holding of 1,000 coins and a lot of hardware which causes significant upkeep and care. Masternode operator needs to continuously hold this collateral to continue running their Masternode and receive incentive transactions. Because of this, there hasn’t been a substantial increase in the number of Masternodes, increasing the block propagation time. This means there’s a risk of holding Dash as a cryptocurrency. Filipinos interested in purchasing, obtaining, and using Dash must first build a digital wallet. There are several digital wallet hosts and brands, take this time to find one that works for your needs and usage. Read the terms and conditions of each brand carefully as some place restrictions on where users can spend cryptocurrencies. Once you have built your wallet it is time to fund it, locate a preferred digital currency exchange; some exchanges allow Filipinos to transfer PHP to Dash while others allow PHP to convert to BTC, or Bitcoin, which can then be used to purchase Dash. Move any cryptocurrency you have purchased from the exchange to your digital wallet to reduce volatility and price fluctuations. Transfers come directly from wallets to other wallets, whenever you are sending or receiving digital currency ensure the wallet address is correct and the receival of the digital currency should be near immediate. The increasing interest in cryptocurrencies like Dash has fueled wider acceptance of its hosted decentralized global marketplace where users can transact using the alternative currency. This allows Filipinos to enjoy gambling with this cryptocoin on Dash-run casinos. While there are few true Dash casinos and games, the growing popularity of the digital currency will facilitate the creation of more pure Dash casinos that may have their own advantages as a cryptocasino. However, there are a growing number of online casinos accessible to Filipinos that accept Dash and even provide bonuses for cryptocurrency deposits. These casinos normally allow Filipinos to fund their accounts by having users send Dash to the online casinos digital wallet from their digital wallet. Filipino players can then use Dash to participate in online casino games like blackjack, baccarat, pai gow, slots, and roulette, as well as, other games found at Philippine online casinos. Many Philippine online casinos accepting Dash offer generous cryptocurrency bonuses for users who deposit Dash. 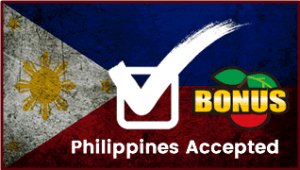 Filipino players receive a 100% match bonus on their bankroll for Philippine Dash sportsbooks online and online Philippine Dash casinos. Some of these gambling sites allow the value of Dash to be matched up to $1,000.00 value in free plays per their first cryptocurrency deposit. These bonuses are not exclusive, as Philippine online poker sites, sportsbooks, and accessible online Philippine racebooks have begun to accept Dash and provide their own incentives for Dash deposits. Dash runs off an extremely secure open source network whose applications must be verified by a large community. Dash provides privacy protection technology for transactions and its blockchain. Dash wallets tend to be safe as long as they are properly encrypted. The only uncertainty that comes with Dash is its price changes and possible coin abandonment. What Are the Advantages of Using Dash? Dash is able to solve scalability issues in terms of transaction processing due to the use of Masternodes in reducing the number of overall nodes required to successfully approve a transaction. Masternodes allow for the management and governance of transactions, nodes, and verifications. Dash also provides a number of features that allow users to clear their digital transaction history, anonymously send funds through PrivateSend, and instantly receive funds through InstantSend. These features also allow for crypto scrambling which mix Dash coins to ensure privacy and curb Sybil attacks. Dash is a self-governing and self-funding network whose costs are subsidized by block rewards. What Are the Disadvantages of Using Dash? Some of the disadvantages many critics point out about Dash stem from its claims of being private and instantaneous as these may not be as true as they’d like users to believe. For example, Dash has a public list of the 100 richest Dash wallets on its network. Not only that, transaction details can be uncovered or compromised by Masternode operators who own the specific node used to facilitate said transaction. Their claims of anonymity are further tested as their PrivateSend uses a tumbler which simply mixes cryptocurrency and can be unmixed through sophisticated software and technology to find the sender’s true identity or wallet source. Other critics have pointed to a possibly unethical procedure known as instamining or premining which allows the first users of a cryptocurrency to obtain a set number of coins to facilitate its circulation, however, this can allow those individuals who usually know the operator or creator in some way (favoritism) to gain an advantage. With that being said, there are only 18 million Dash coins in supply and a large portion of this was freely given to select individuals. Otherwise, risks from using Dash run from the discontinuation of its use to extreme price fluctuations, all of which will hurt the coins stance in the Filipino market.